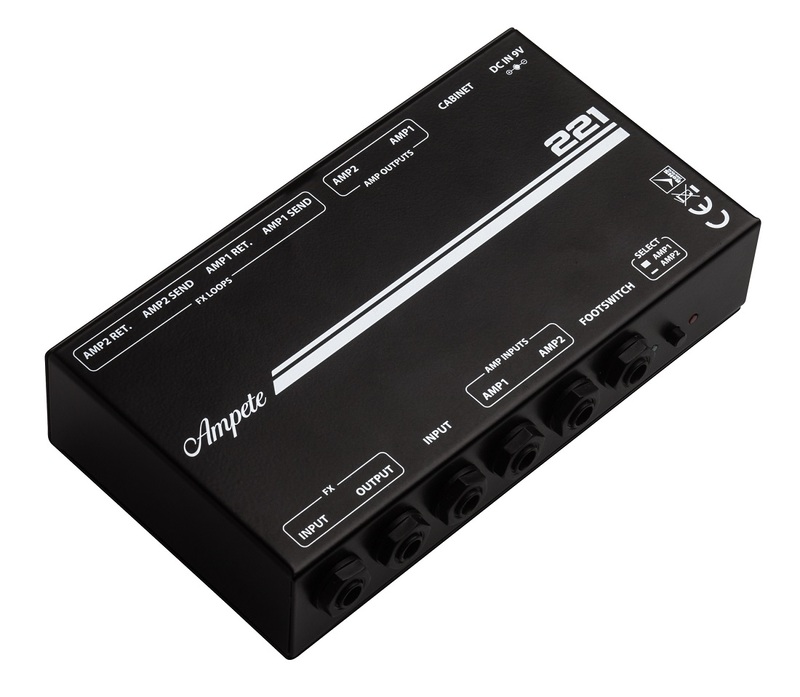 The Ampete 221 switches two amplifiers into one speaker cabinet. 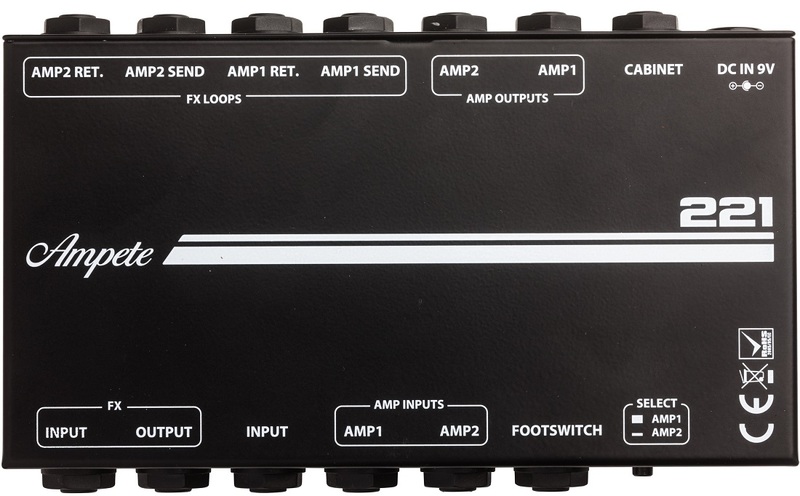 It is easily operated via a Select button or a latching footswitch. Switch between your amplifiers without any sound degradation, switching noise or hum while using the same cabinet for both. 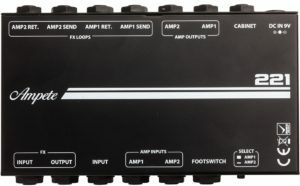 Connect your favourite effect pedals to the 221 FX Loop and have them automatically switched into the FX loop of the selected amp.